Happy Anniversary Stamping Details! In April we celebrate our 9 Year Anniversary! We have plans underway to celebrate. We would like to Thank our customers............YOU! We invite you to Like Us on Facebook and share our Facebook Page with your friends! All you need to do is comment on our Facebook Page and we will be picking a lucky random winner. Please share and ask your friends to LIKE us too! If they leave a comment with your name (i.e. "Jane Doe sent me") you are entered again! THANK YOU! Let our Anniversary Month Begin! Visiting the participating shops isn’t just to get discounts and win prizes… each store has selected a recipe and will work within that recipe for their theme for the event. Stores will have a 6×6 layout page / recipe card. (For those who don’t cook, don’t use the recipe and use a photo mat instead or flip over the recipe as your mat) )Spend $10 or more in the store (before tax, after discount) and you’ll get it for free. Some stores may sell add-on pages with prices set at their discretion. 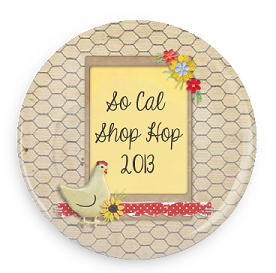 Each store will also have their very own collectible pin to match their recipe/theme. Spend $20 or more in the store (pre-tax, post-discount) and you’ll receive it for free. Both promos are available for purchase if you don’t meet the minimum to receive it for free. Official pages are $2.50 and pins are $4.99 – thanks! Passport Packages are $10 in March, $12 in April and $14 from May until Sold Out. What a great time we had this past weekend with Marion Smith! Thanks Marion and Garrett Smith! Stop in to get your hands on brand new Prima flowers! They are gorgeous! 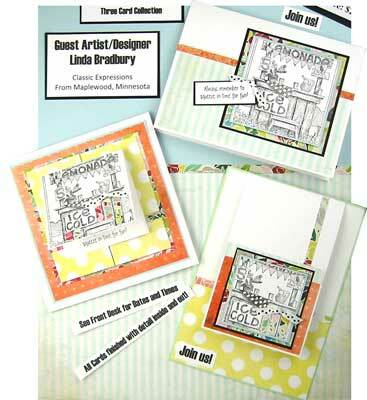 New products just hit the shelves at Stamping Details from Magenta! Stop by today while supplies are great! We are getting ready for Easter this coming Sunday. Make sure to come in this week and see our complete Easter section! Lots of Easter and Spring themed patterned paper, stamps, and embellishments! 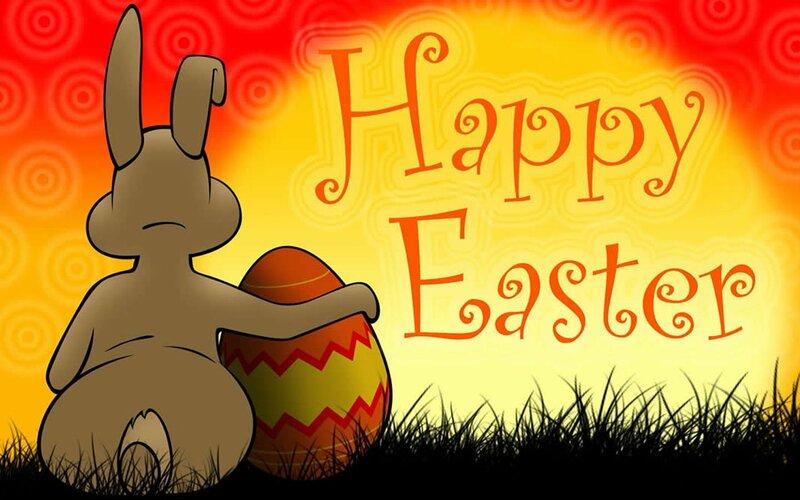 We are closed this coming Sunday for Easter and would like to wish you all a wonderful and Happy Easter! There's a quaint little shop on the corner where everyone stops and peers in the window to see all the pretty things they have to offer. This is The Corner Boutique. Fresh and lovely papers by Authentique are used in soft shades of yellow, blue and green to create this three card collection! New images used are by Inkadinkado. Hope to see you here! Pretty in Pink is definitely for the ladies! It has a classic, sophisticated element yet ultra feminine. The wide iridescent ribbon finishes these off with an extra special touch! Please join us for this all occasion three card set! Images are by Impression Obsession and papers by Bo Bunny and more! Linda Bradbury began in the stamping industry in 1995 along with her sister Linel Mehus. Together they conceived, started and operated for seven years a very successful rubber stamp art store called "The Avenue," in White Bear Lake, MN. 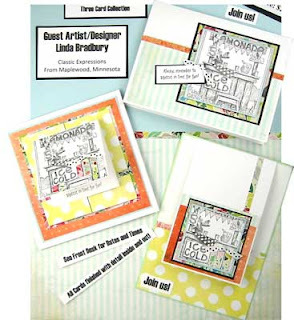 Along with designing, teaching and instructing a new class each week and displaying over 100 new and original samples per month, they also designed, published and sold in the United States and overseas four Rubber Stamp Art Ideas books. Linda and Linel continue to design and teach on a weekly basis and hold three-four weekend retreats a year. Linda is known for incorporating unique color and textures into her designs to create balance, interest and harmony. 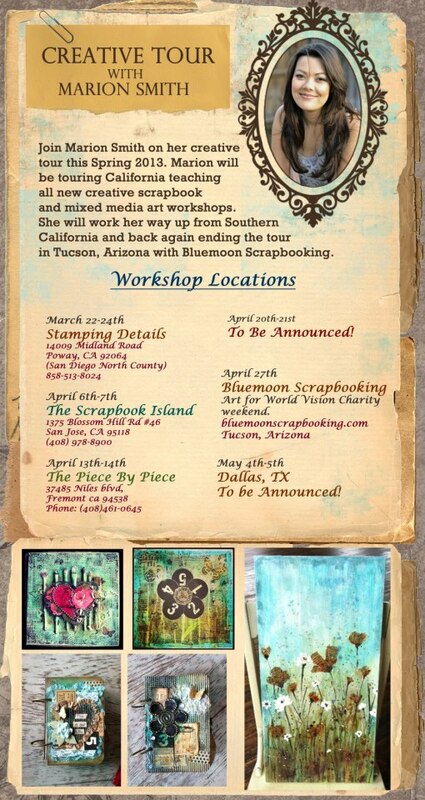 Come and enjoy a fun and relaxing yet instructional time with her and create something new and exciting to share with family and friends! See you in class! 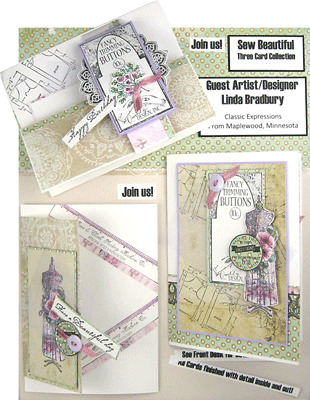 To learn more about Linda, visit the Classic Expressions website. 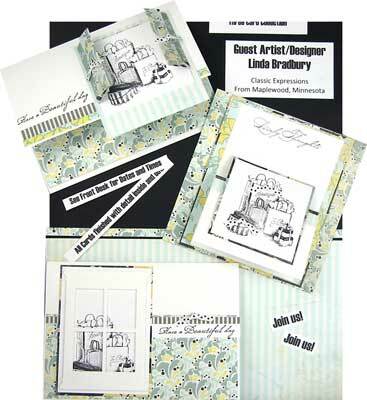 Linda loves these new images by Alesa Baker and Impression Obsession! Vintage, feminine and soft, these cards will be suitable for women in your life. Papers by Fabscraps and Basic Grey, tulle, buttons and incredible folds, complete this beautiful three card collection. 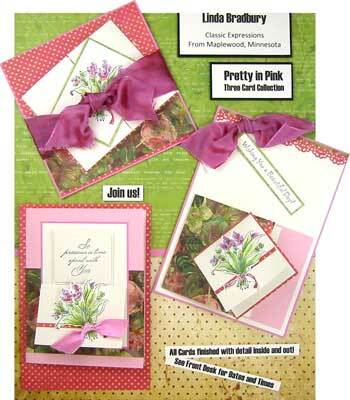 Join us for this Springtime all-occasion card collection! Be inspired by colors of lavendar, pink and green. Paper rich in color by Authenique and Fabscrap and images by Impression Obssession will be incorporated. Coloring with Copics too! Last week's Make 'n Take was so popular we made another batch of them! Here is our Make 'n Take for this week just in time for Easter! Elegant Black & White Cards with Michael Strong - March 27th! Have you called to reserve your seat? Classes are filling up! March 22nd-24th! What a weekend we are going to have at Stamping Details! Call us at 858/513-0824 to get signed up! Quilling has become so much more than curling paper to make cute little animals, whimsical flowers and homey Christmas decorations! Once you've learned the basics it will give you the skills to create beautiful works of art. Anyone can create a Zentangle – artists and those convinced they are not an artist. If you can pick up the pen you can make a beautiful piece the very first time. People who are sure they are not "creative, artistic, or talented" are always delighted and surprised to see what they can create. Once you have the basics of Zentangle it's an easy next step to exploring additional artistic applications – paper crafts, muti media, fiber arts, textiles – the possibilities are endless, one stroke at a time. The Zentangle Basics class includes an introduction to the materials used, a guided practice in designing and creating unique Zentangle tiles, and instructions for eight basic tangle patterns. Please join Suzanne Wilka, Certified Zentangle Teacher (CZT) for this introductory class in the Art of Zentangle. Your class fee includes a Starter kit of items needed to learn this exciting and fun new art form. $35. Includes all class materials. Register in person or by calling ( 858-513-8024 ) during store hours. We are excited about our March Catalog of the Month........Studio 490!! Coloring and Glitter with Alcohol Markers with Nicole this Sunday! 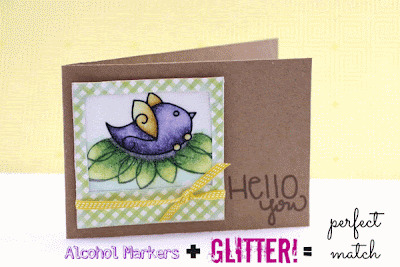 Come join Nicole, owner and designer of Sweet Stamp Shop, as she shows you one of the most fun, and popular, techniques using Alcohol Markers. We'll make one card and a coordinating tag using markers, glitter, and some of Nicole's top secret tips!! You'll need to bring your own Alcohol Markers for this class – doesn't matter the brand. (Nicole will be using Copic's to demonstrate, but any alcohol marker will work) You will also need adhesive (wet or dry) and tweezers (very important). 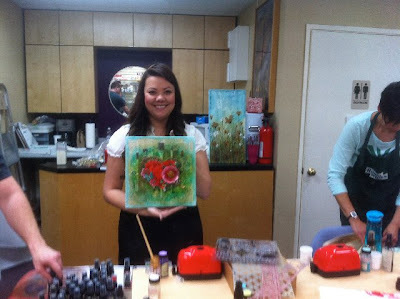 Warning: This class sits you in the 'Glitter Zone' – Yep, a lot like the 'splash zone'... meaning, you'll likely leave with lots of Glitter on you – on your creations – and everywhere else. Make sure to stop in and get our two newest Iris Folding Patterns & DieCuts! They are so Cute! !